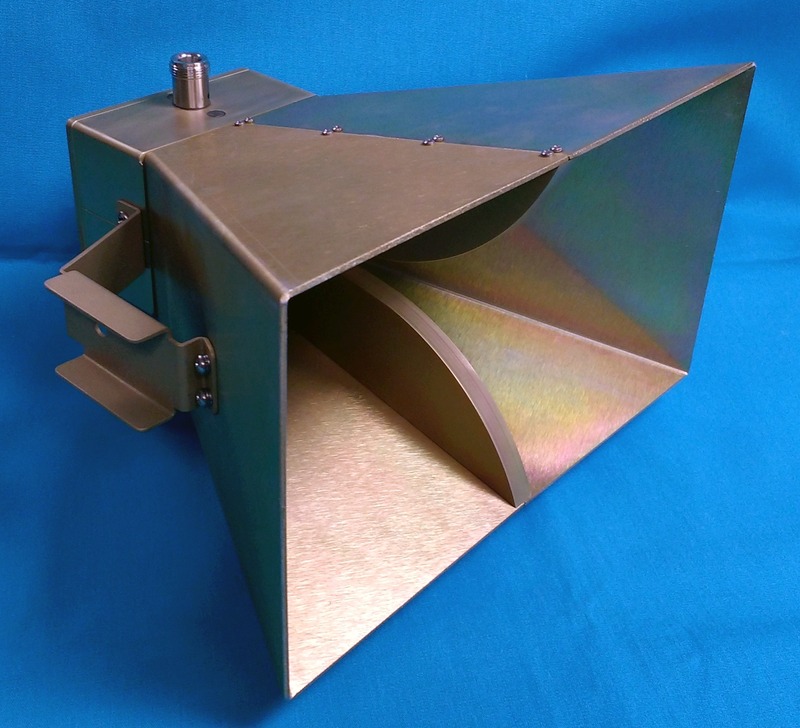 ATM manufactures a high quality line of Standard Gain Horn Antenna, and High Gain Horn Antenna that are Linearly Polarized, lightweight and corrosion resistant. Sometimes called Pyramidal Horn Antenna, microwave horns like ATM's horns are based on typical specifications for standard and high gain pyramidal horn antenna. 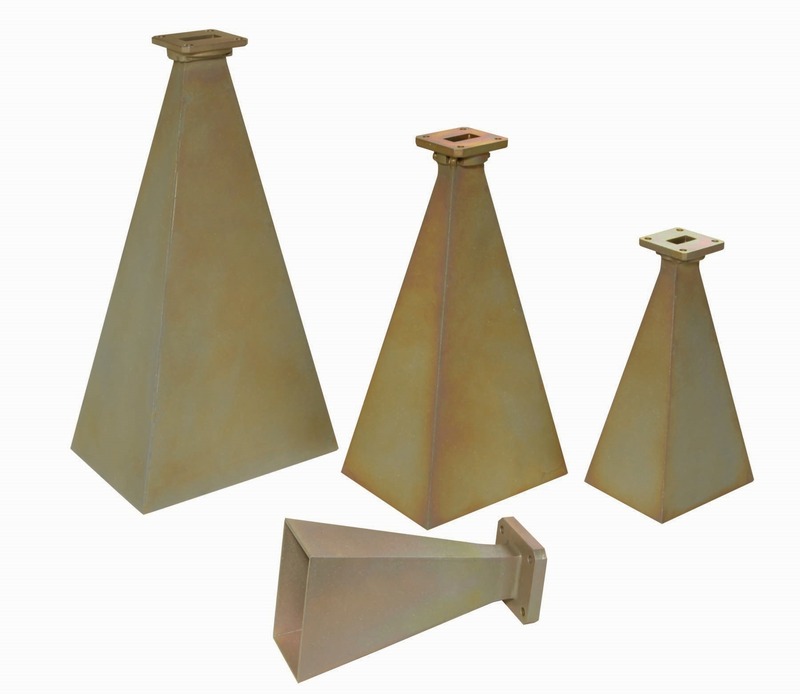 The horn antenna models listed below are the most common gain values available, typically 10dB, 15dB, & 20dB gain horn antenna. 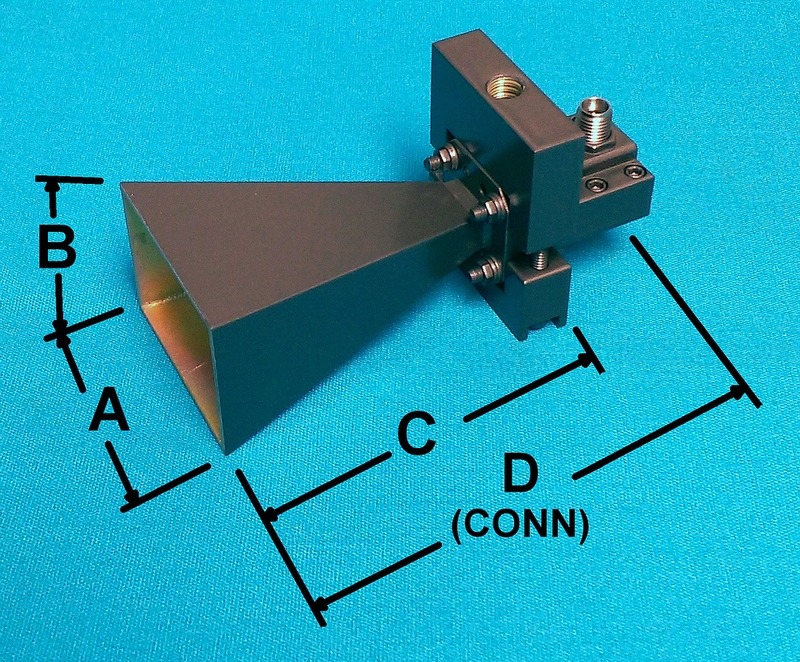 Other gain values and horn antenna sizes can be designed to your requirements. Please call us with your specifications to discuss your horn antenna requirements with one of our RF design engineers. Gain: 10dB, 15dB, 20dB std, consult factory for custom gain values. Standard w/g size, no options: Max power is equal to the max power of the input waveguide size. For data see: Waveguide Raw Information Page. For example for WR62 Horns 1.4KW cw and 460KW peak. With Coax adapters: Max power rating of the Coax Connection becomes the limiting factor. 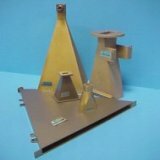 See Waveguide Adapters pages for power ratings. 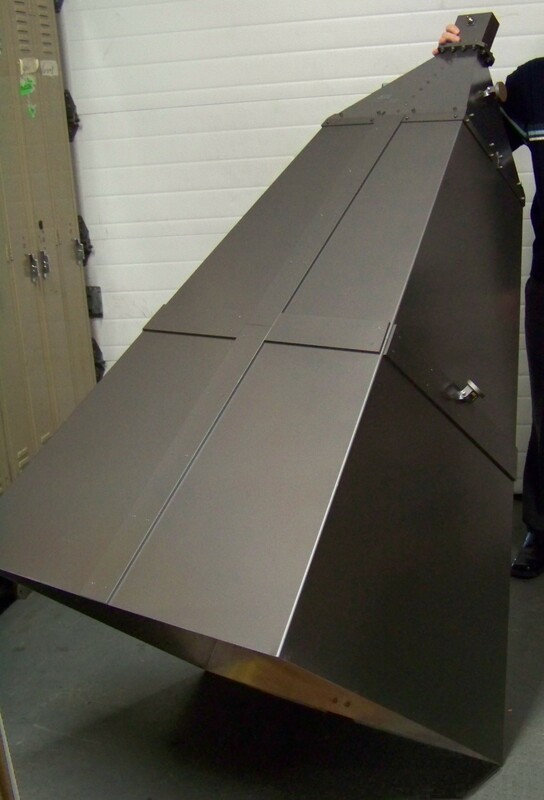 • Radome covers (/RD) for this option add "/RD" to the end of any model number. 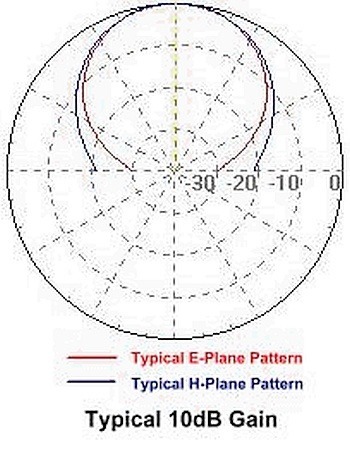 See: Radome Applications Tables. Depending on the aperture size radome will either be a strong Teflon-fiberglass material mounted in a frame pictured here or a very low dielectric material custom fitted and epoxied in place. 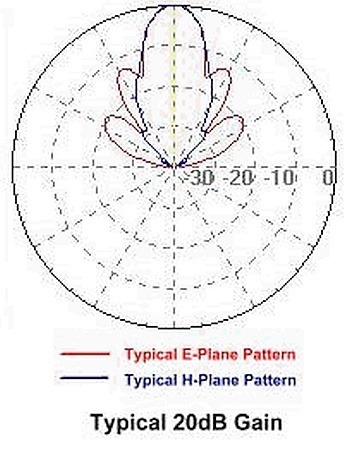 Based on the material selected, all designs have minimal impact upon antenna performance. • Mounting Brackets: (/BR) see Factory Standand Horn Mounts. • Review model-specific Outline drawings (.pdf) in model tables below, for more information. See ATM Standard Flange page for more info. * The Standard Model Numbers above are the most common parts ordered for size, material and flange. However, these models can easily be altered to accommodate your needs by using the Model # code system to the left. 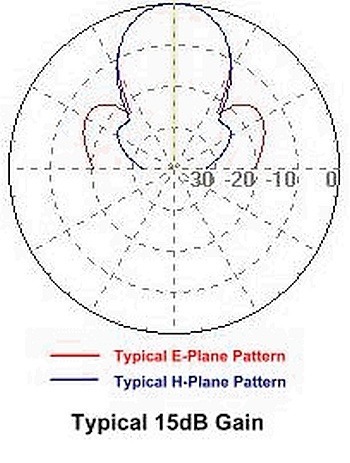 Above models are not supplied with calibration data. Select /CAL option to receive actual Gain vs. Frequency taken in the far field. Click this link for a sample of data: "Calibration Data Sample"
** Overall length can vary depending on flange type. 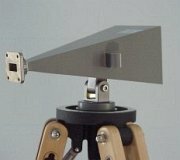 *** Gain and 3dB Beam width values have been calculated by computer simulation. 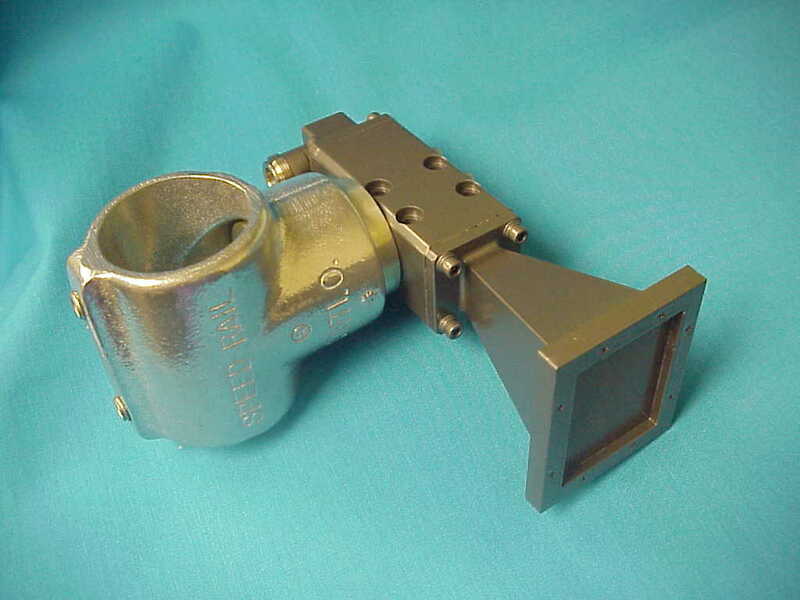 • Input is ATM Waveguide Flange or Coaxial connector, depending on model. Brackets for all wide band models standard, see drawings. 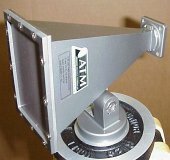 ATMs’ TP-3W Tripod is a great option for those who require a reliable way to mount our horn antennas. These durable and weather-proof tripods have a standard ¼-20 camera mount. 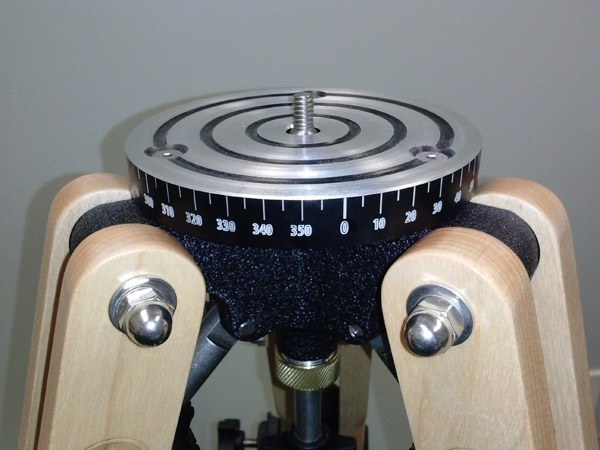 They are made out of Eastern Hard Rock Maple, a hard light-weight vibration damping wood, which optimizes stability. The wooden construction will also decrease any reflections on side lobes, since wood will not reflect any incoming or outgoing waves. 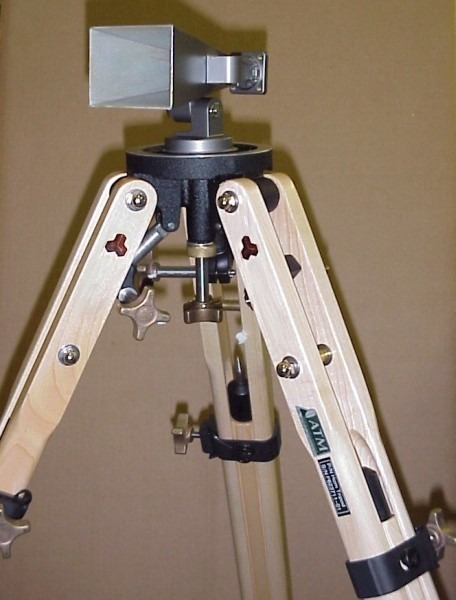 The bracket supplied with the horn to be mounted makes it simple to change the elevation angle of the horn, while the ¼-20 mounting screw makes it easy to change the azimuth angle of the horn. 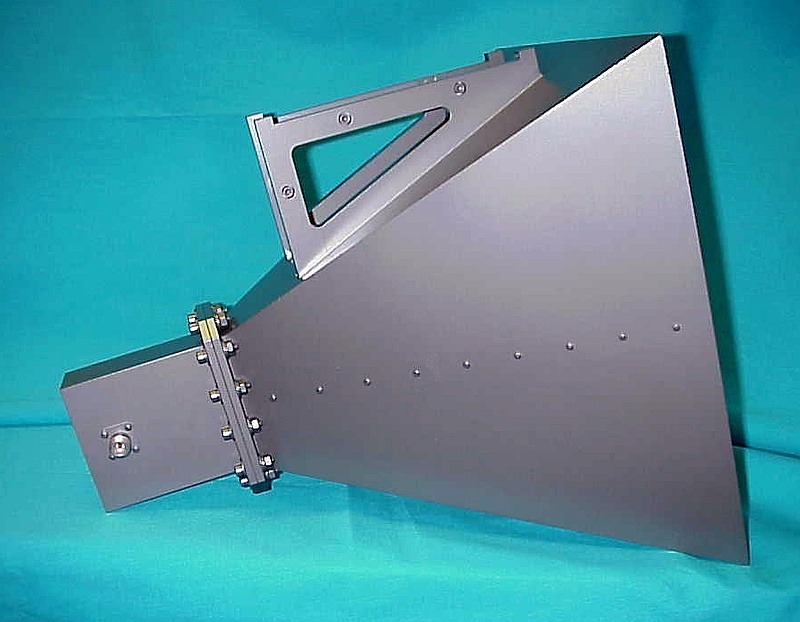 All available ATM microwave horns may be mounted using our tripod. 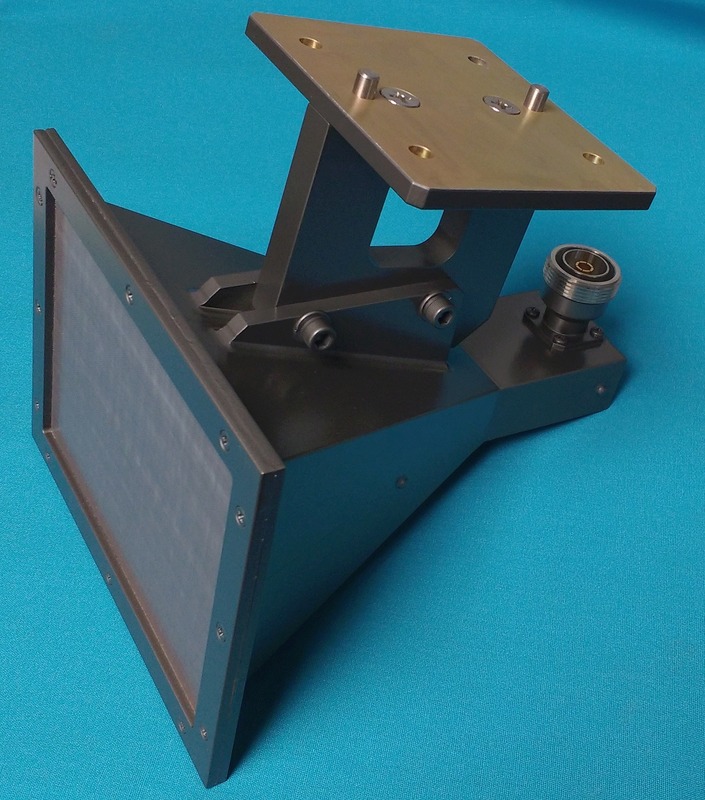 Please note: Bracket Option ( /BR ) must be specified when ordering horn antenna for tripod mounting.